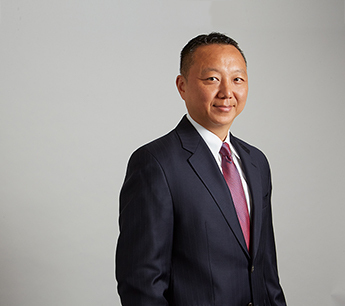 Young Kim is a Director with RKF, specializing in landlord representation throughout New York City’s Outer Boroughs. A native of Queens, he has in-depth knowledge of retail markets in Queens, Harlem, Washington Heights, Inwood, and South Bronx. Over the years, Young has successfully worked on behalf of landlords including The LeFrak Organization, Urban Development Partners, L+M Development, Atlas Capital and BCB Properties. Young has assisted many retailers with their retail requirements including Mattress Firm (formerly Sleepy’s), Wok to Walk, Dunkin’ Donuts, Subway, Popeye’s, boost mobile, and Little Caesars. Some of his recent transactions include the leasing of 1,100 SF at 572 Atlantic Avenue in Brooklyn to Subway on behalf of both the landlord and tenant, 1,000 SF at 49-02 Vernon Boulevard in Long Island City to Dunkin’ Donuts on behalf of both the landlord and tenant and 1,750 SF at 39-02 Main Street in Queens to Carat + Co on behalf of the landlord. Young represented a buyer in securing the sale of 41-18 Queens Boulevard in Sunnyside, Queens. He also represented both the seller and buyer in the sale of 2 East Gunhill Road on the corner of Jerome Avenue in the Norwood section of the Bronx. Prior to joining RKF, Young was an Asset Manager for Apartment Investment and Management Company (AIMCO). His responsibilities included asset management of 1,500 units in Manhattan and 1,588 units in Upper Manhattan including Harlem, Washington Heights and Inwood, as well as acquisitions and dispositions. Previously, Young worked as the Associate Director of Acquisitions and Leasing at Sutton Management Corporation. Young received a Master of Science Degree in Real Estate Finance from New York University and a Bachelor of Arts Degree from the University at Buffalo. He is a licensed Associate Broker in the state of New York and is a member of the Urban Land Institute.